Dropper bottles are great but when you are using them as well you might know they get clogged up now and then. To fix this I always keep a needle somewhere handy, just insert it into the tip, wiggle out some dried paint, and you’re good to go again. 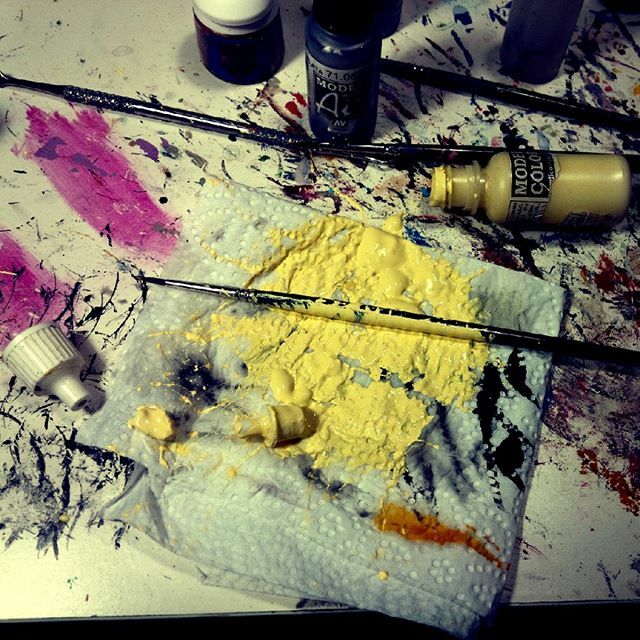 So I don’t really understand what got into my mind a couple of days ago when I decided to squeeze my bottle of Vallejo Model Color Ice Yellow as hard as I could. What followed was a small disaster: the tip dislodged itself, sending bright yellow slamming down with considerable force down on a small bit of paper towel, where most of the paint landed. 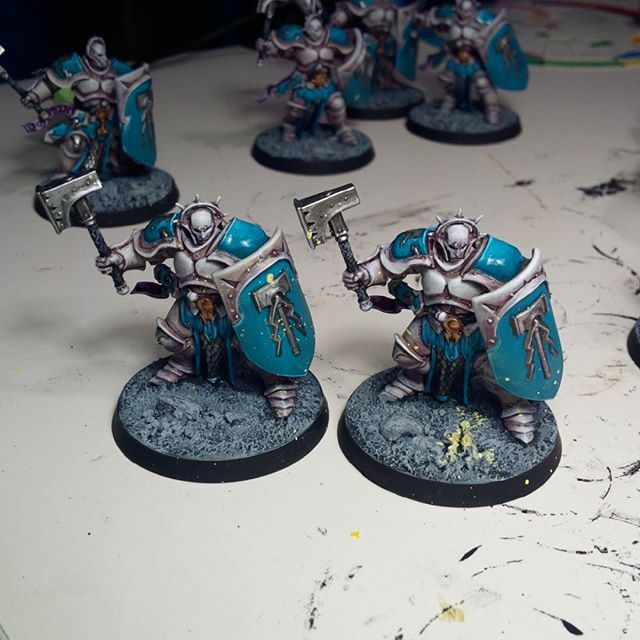 But there was a lot of collateral damage with paint on my favorite hooded sweater, in my hair, on the curtains and on my Age of Sigmar Liberators (6 of 8 were hit) which were nearly finished and still sitting on my painting desk. 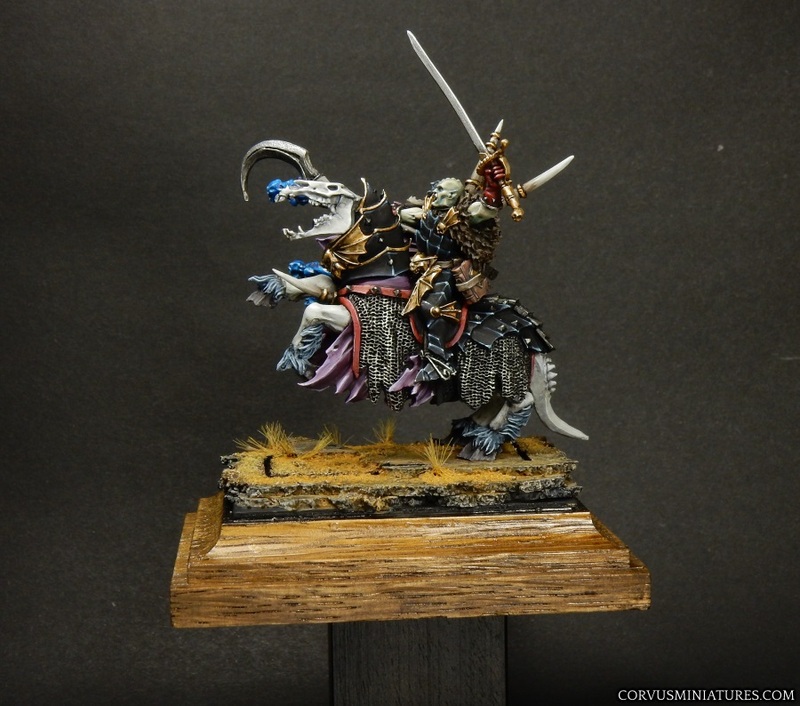 Yes I know it could have been a lot worse, gaming models like the AoS ones are easier to fix than with a better quality paintjob, and other stuff like my phone and glasses were miraculous saved from the flying paint droplets. 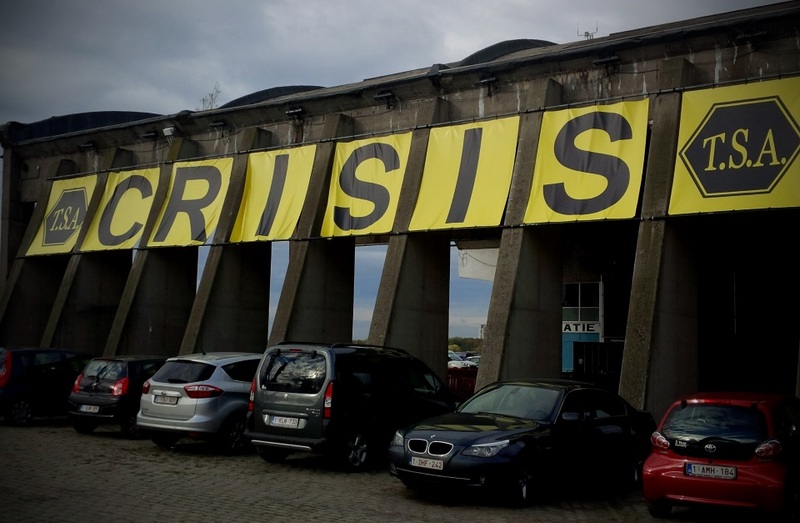 It’s already been 3 years since I last visited Crisis (you can read my 2012 report here). 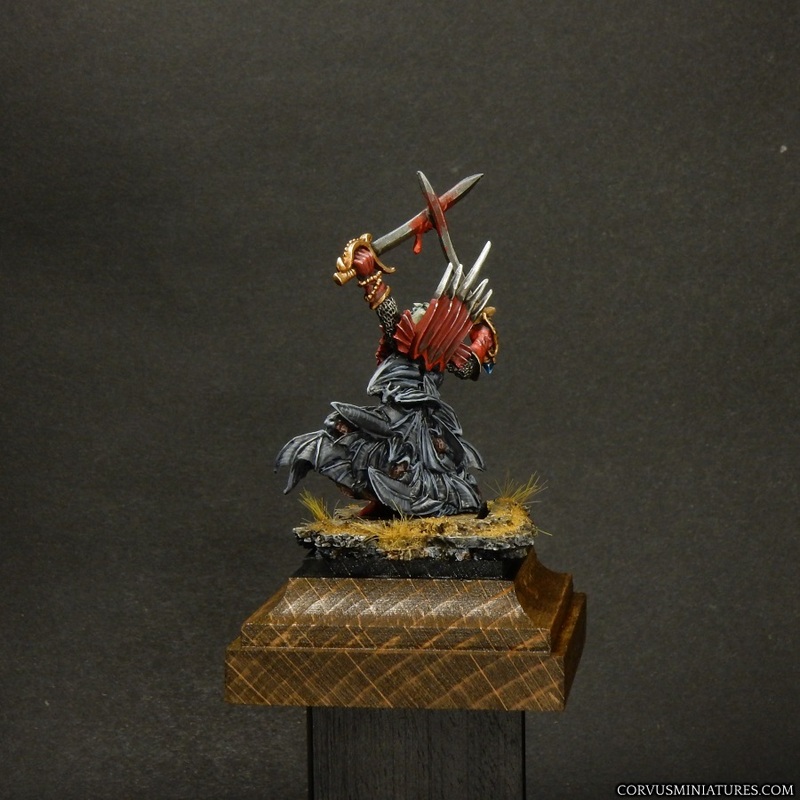 The past few years I focused more on the figure painting side of the hobby, with Crisis being a wargaming event. 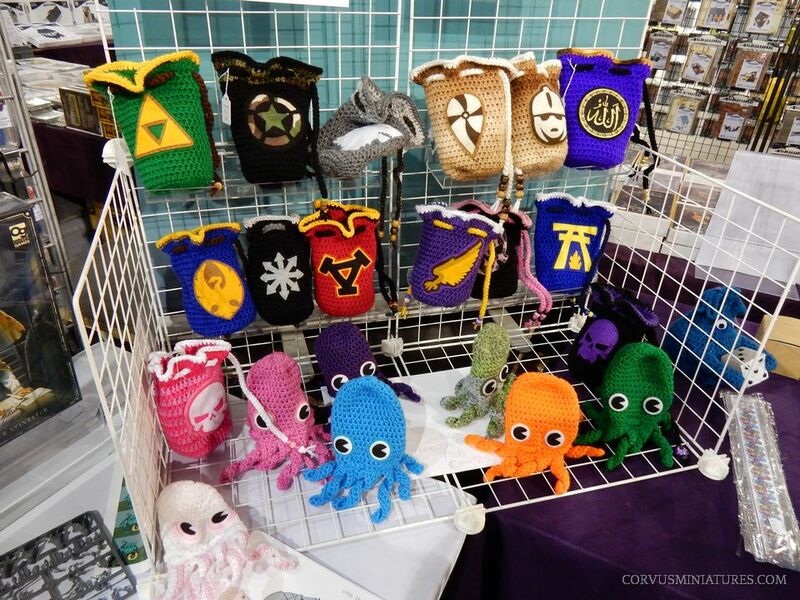 But this year’s list of traders and clubs was so impressive that I decided to visit once again. If you don’t know Crisis, it’s a yearly event now held for the 20th time. 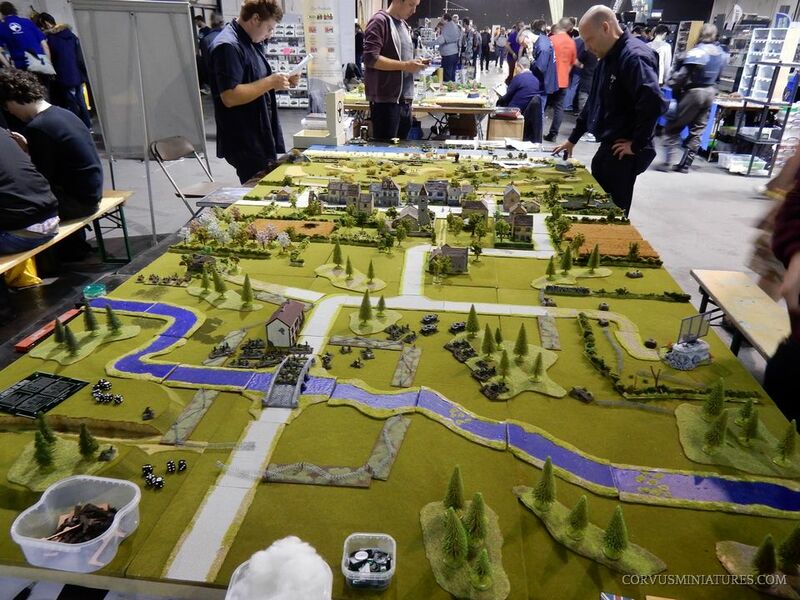 It’s organised by the Tin Soldiers of Antwerp, a local wargaming club. 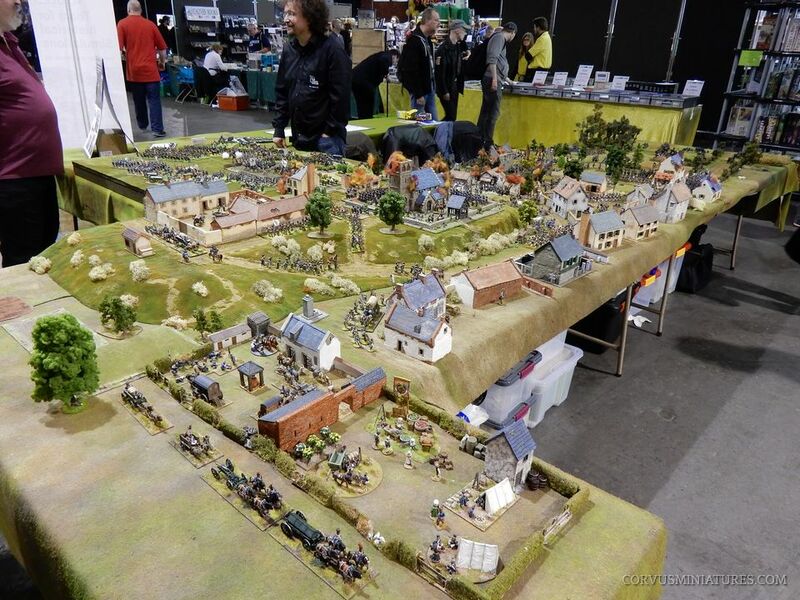 The focus has always been on historical wargaming, but there’s plenty to see for sf & fantasy fanatics. I’ve been visiting since 2003, during those years they also held a painting competition at the show. 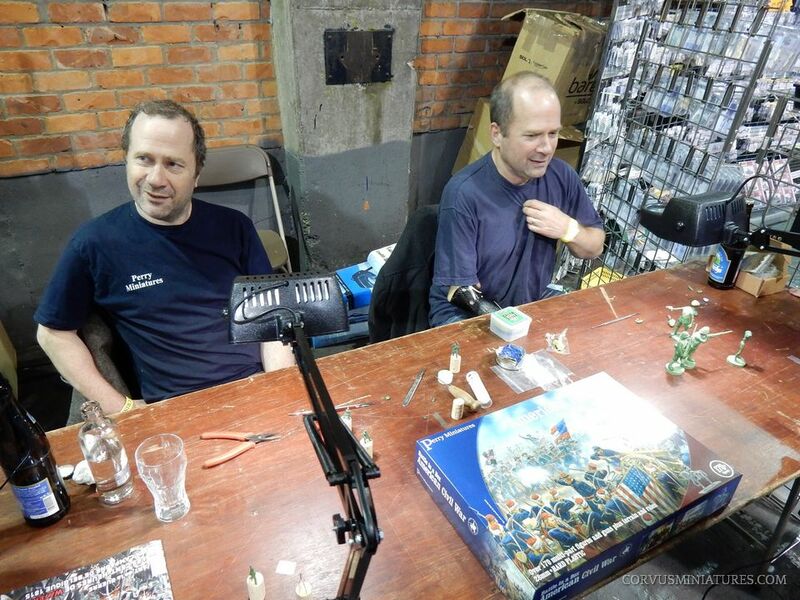 But the last 5 editions or so didn’t have a painting competition and the show was also moved to a bigger venue, the Waagnatie in Antwerp. I arrived around 14-14.30, when a lot of people were leaving already. But inside it was still very crowded. I started my tour from the right. 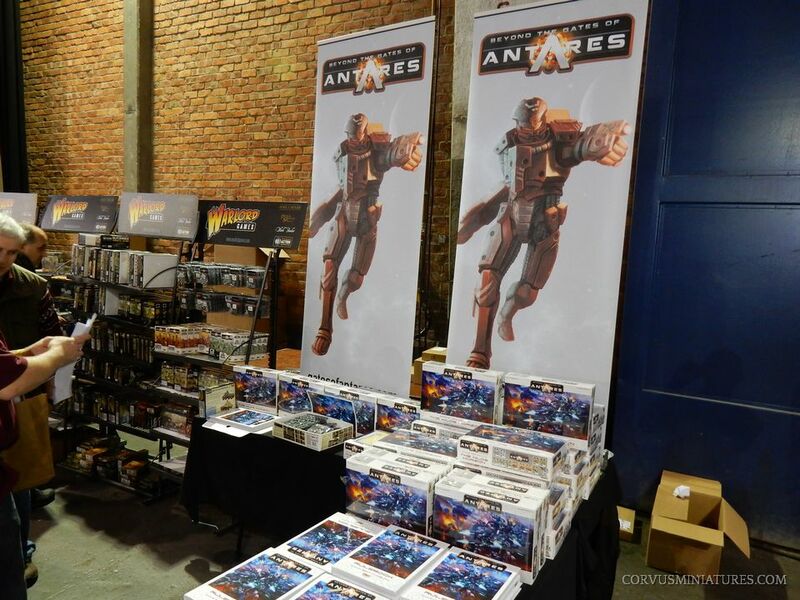 First booth to catch my attention was the one of Warlord games, displaying their SF game Beyonod the Gates of Antares. 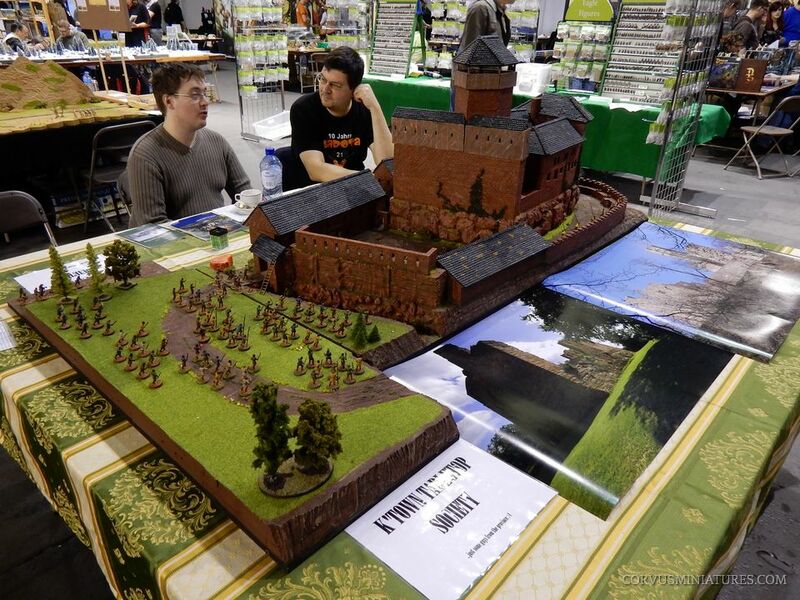 The box and rulebook looks nice, but the sprues which were on display failed to impress me. The plastics looked thin and the details a bit fuzzy. 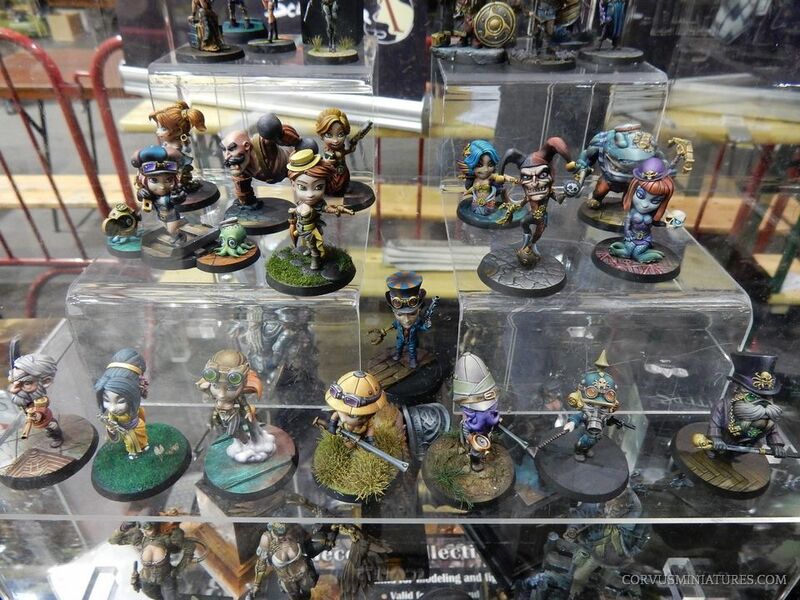 A bit further I encountered Crooked Dice, a game studio which I don’t know very well, but they had some nicely painted miniatures on display. 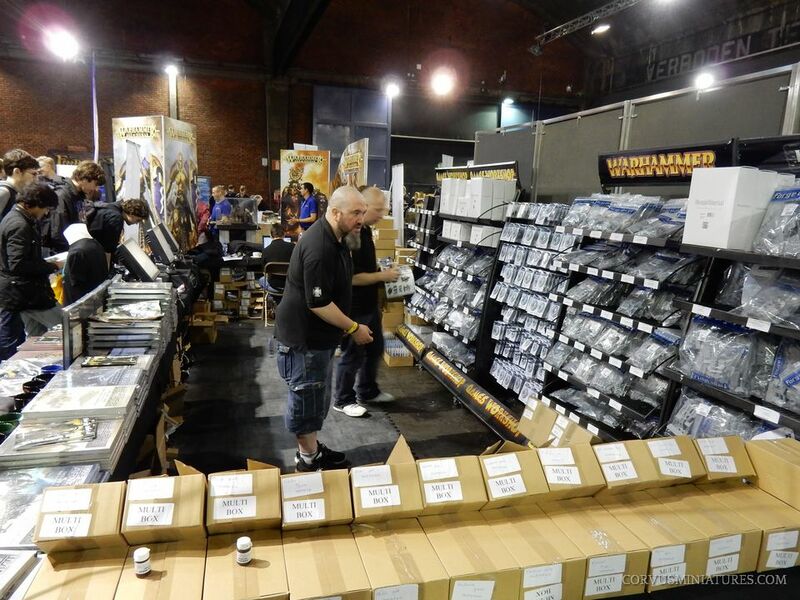 It was beg news earlier this year when it was announced that Games Workshop and Forgeworld were visiting. 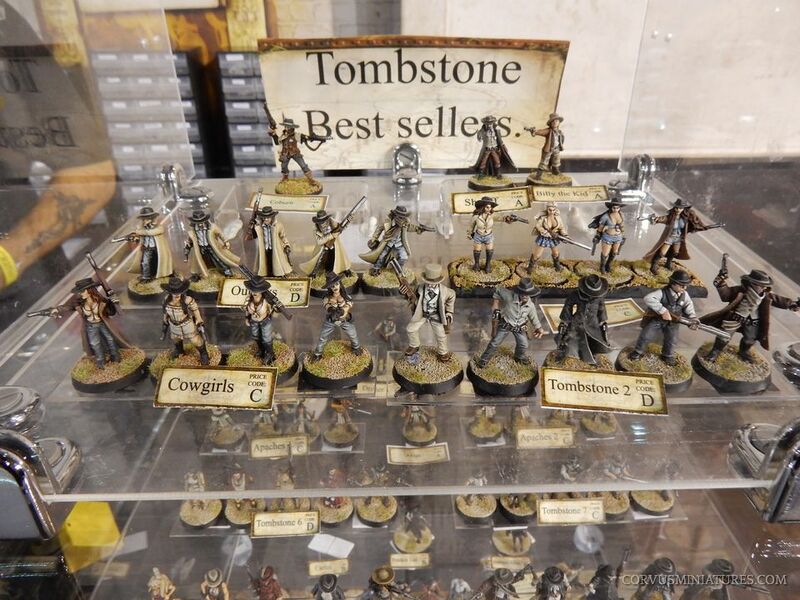 Forgeworld brought a nice stock with them, a lot of people were buying. 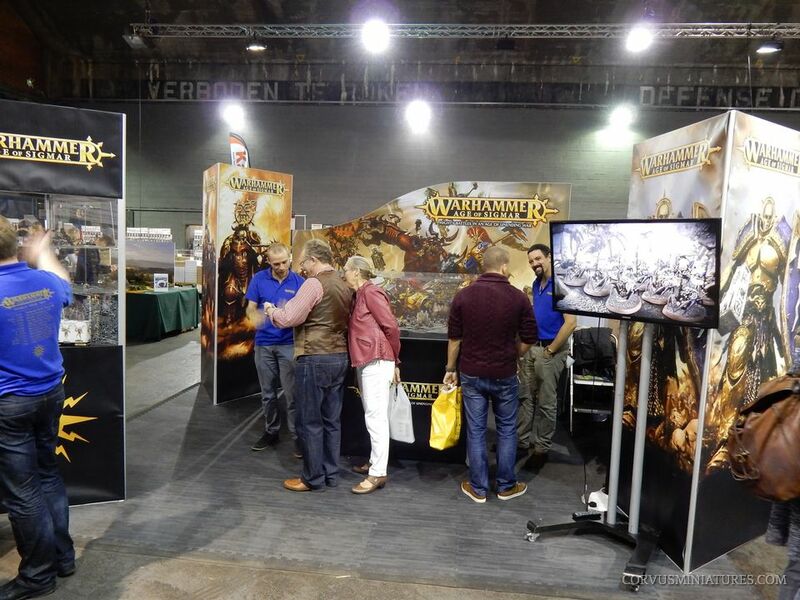 On the other hand I failed to grasp the meaning of the Games Workshop booth. 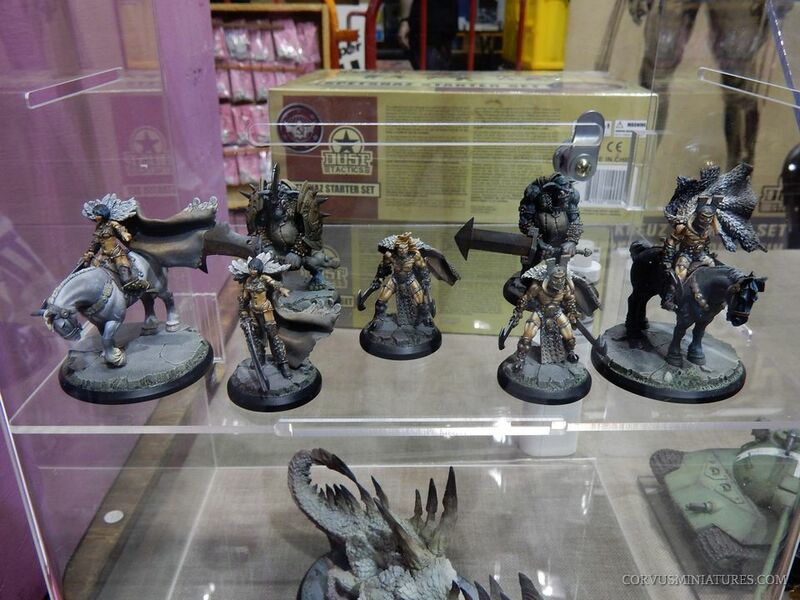 One display cabinet had the Age of Sigmar starter set miniatures on display. 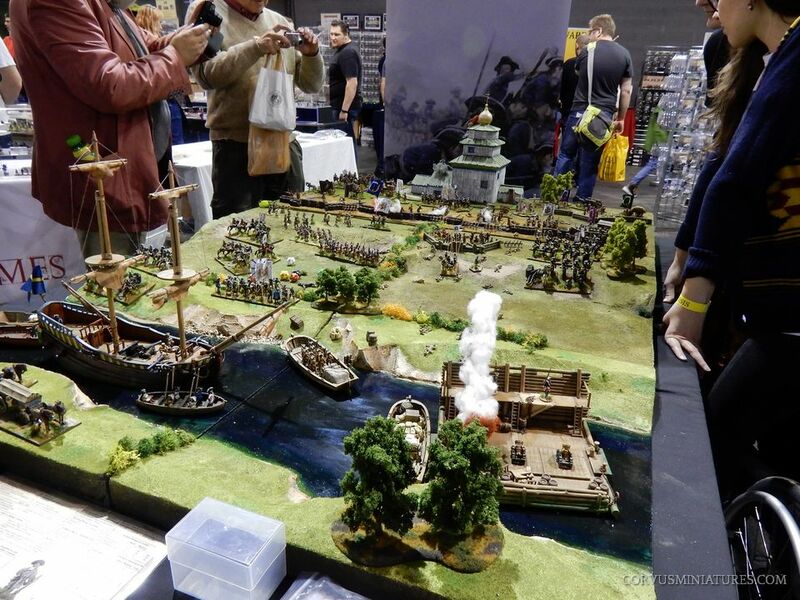 And then in the center of the booth there was a display of Sigmar vs Chaos with some scenery. Three representatives were having a chat with visitors. 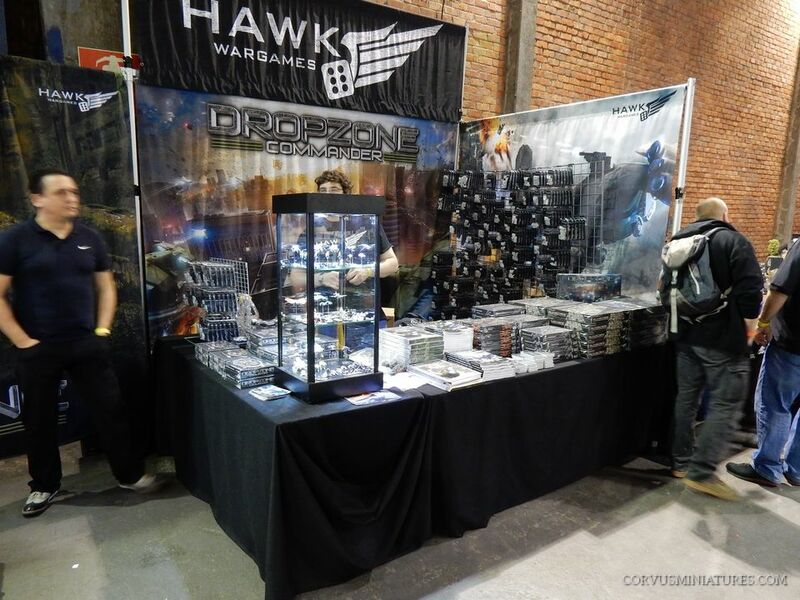 You couldn’t buy anything at the booth, nor was there any information on their other games, such as 40K. Special guest at this year’s show: the Perry brothers! Then it was time to check out hall number two. 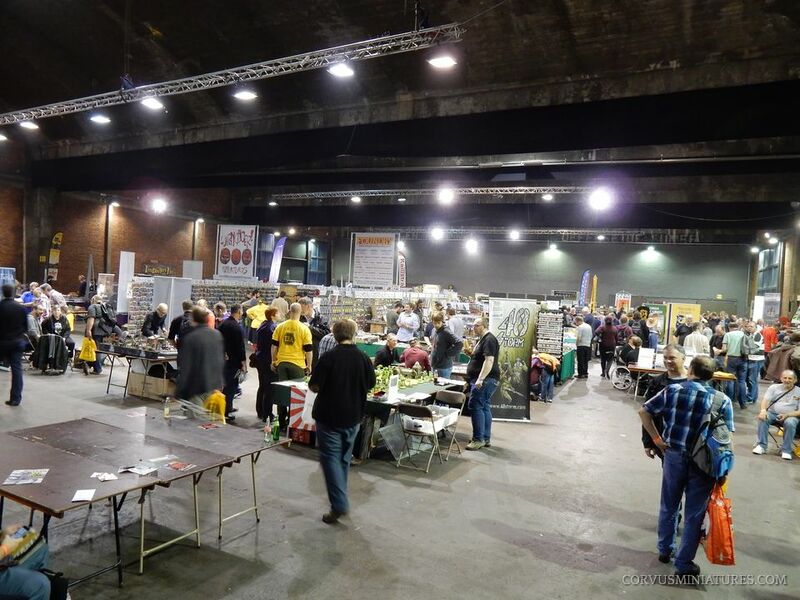 There was a bit more room and fresh air there, this was also the hall where most of the clubs were giving their demos. 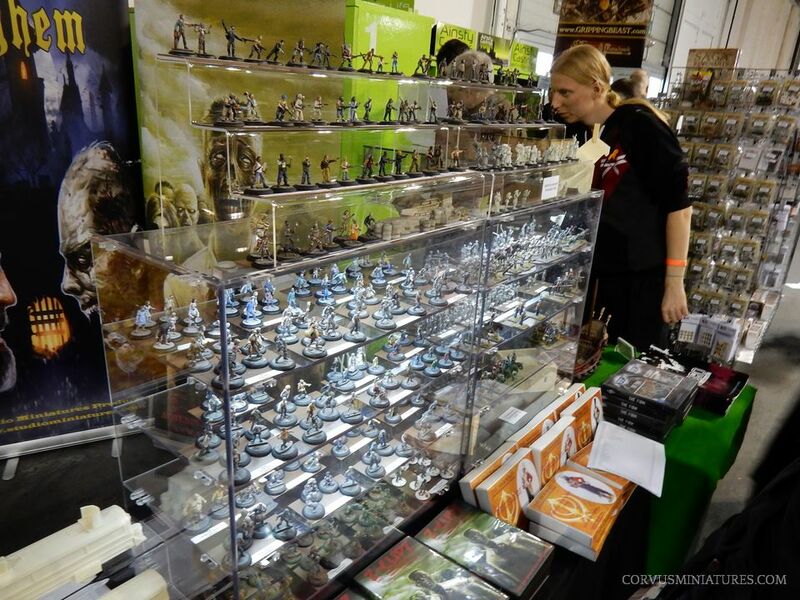 But traders as well, like Studio Miniatures. 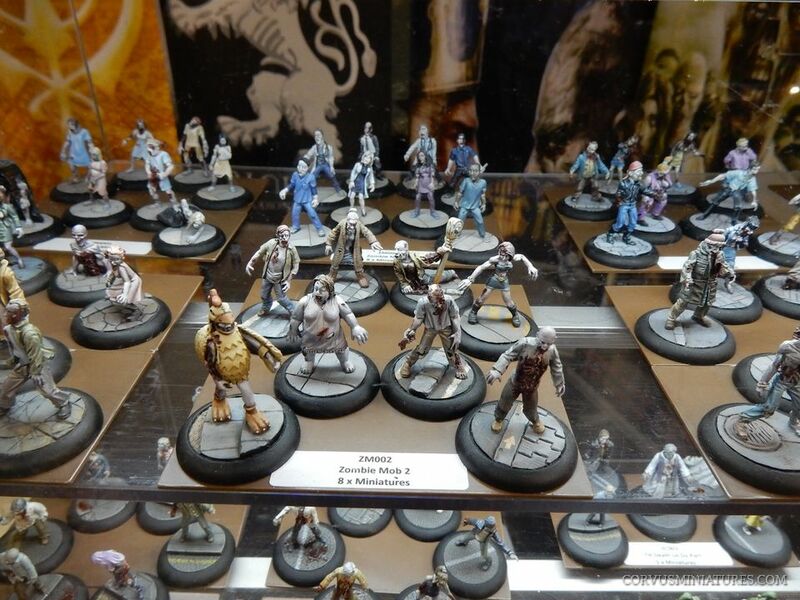 They had their box art zombies on display, paintjobs which I always liked a lot and which are a big influence to my way of painting nowadays. 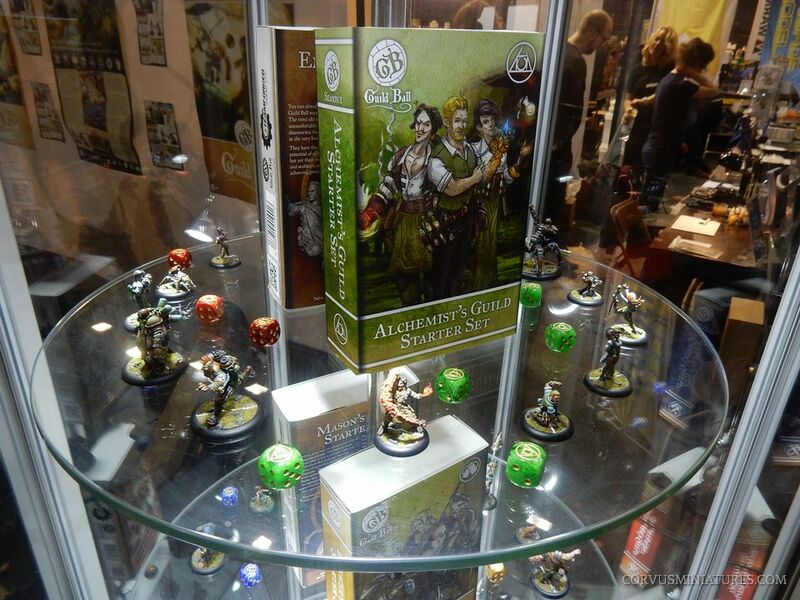 But the eye-catcher this year was probably the Guild Ball booth. 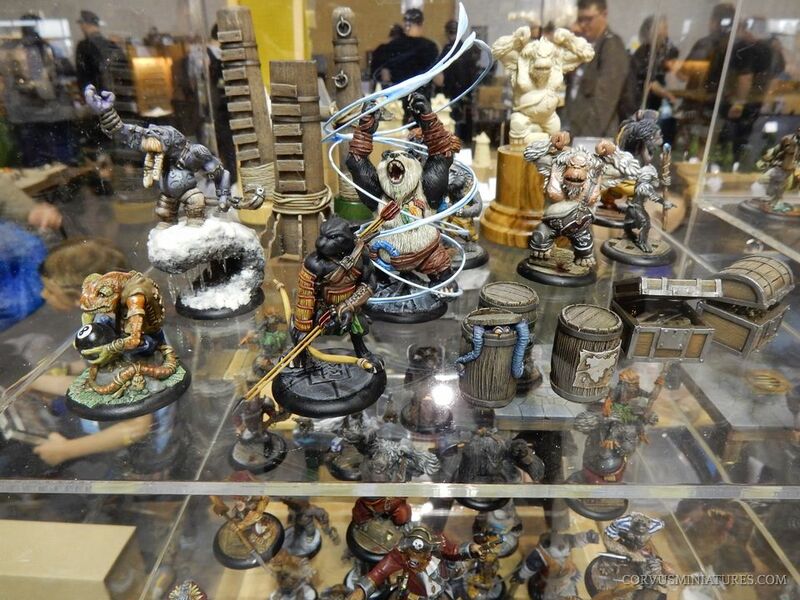 Their painted miniatures on display were simply stunning. 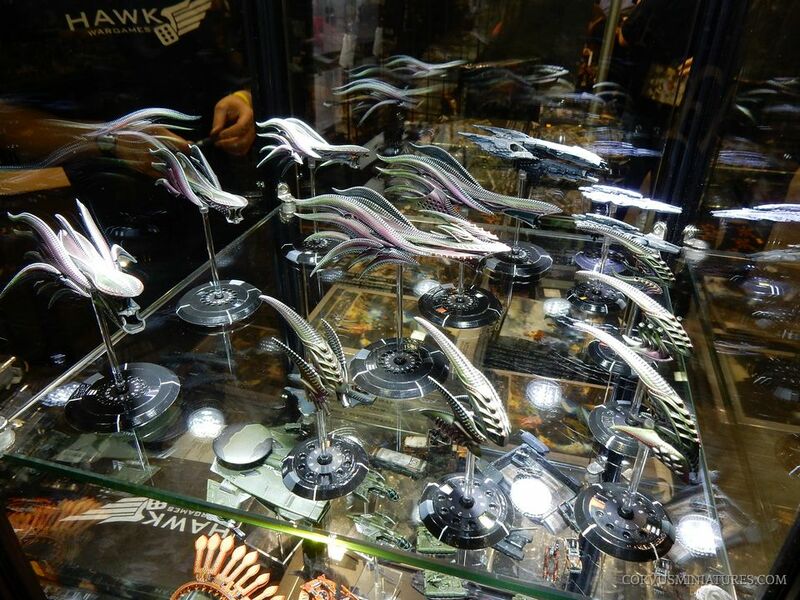 Every single miniature they had was on display (including the alternative Kickstarter exclusive miniatures), all of them with a jaw-dropping paintjob. 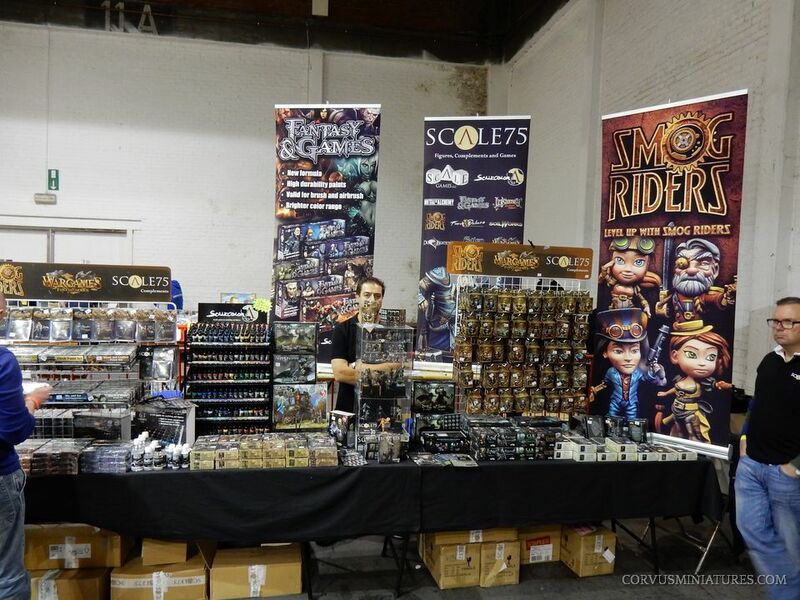 There were 3 tables with demo games, and they had some awesome show-deals. 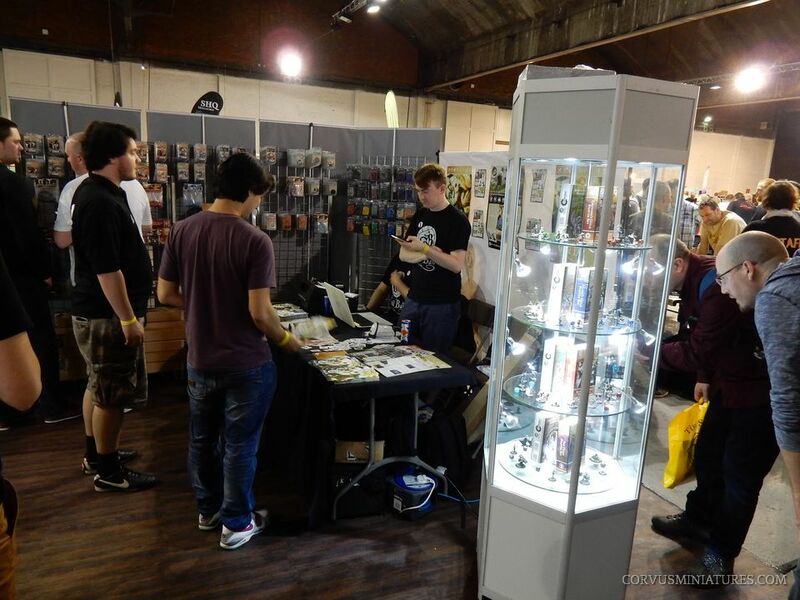 The little booth was always very crowded. I happened to be at their booth when a delegation of TSA members visited to give them a special trophy for the most innovative game on display. 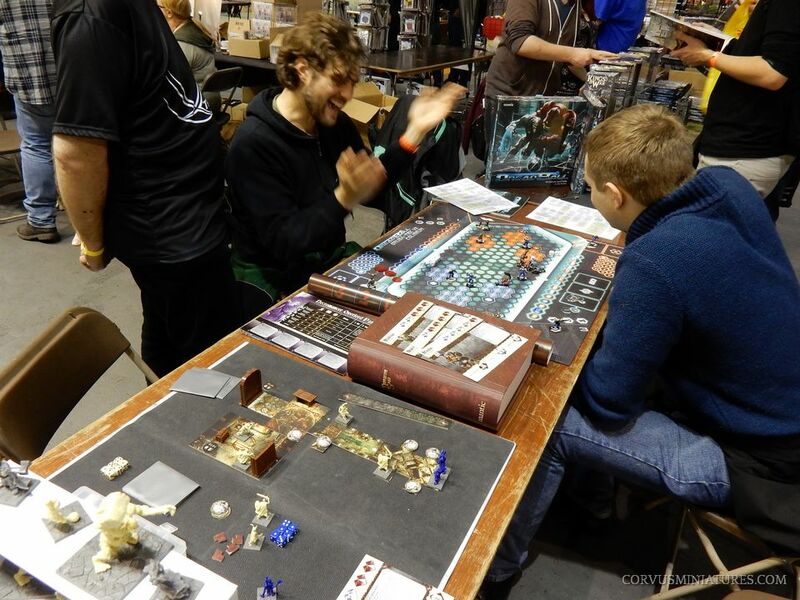 I don’t know how the game plays, but it was certainly very well presented! 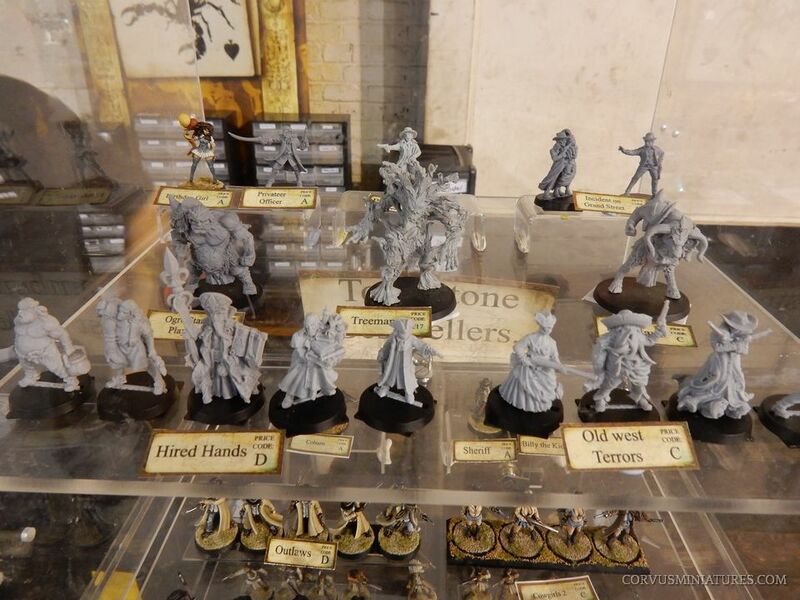 I decided to buy one miniature to paint for fun, so expect to read a bit more about Guild Ball on this website in the future. 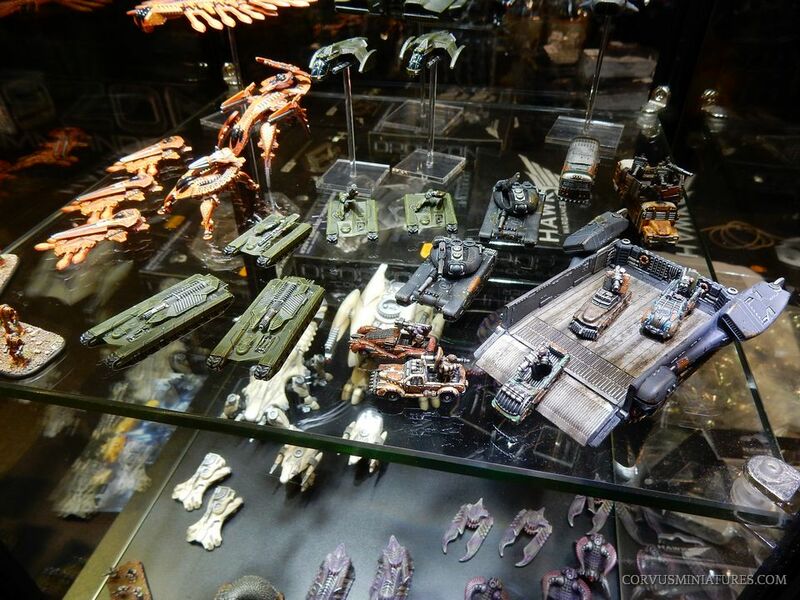 Can you recognize the miniatures below? 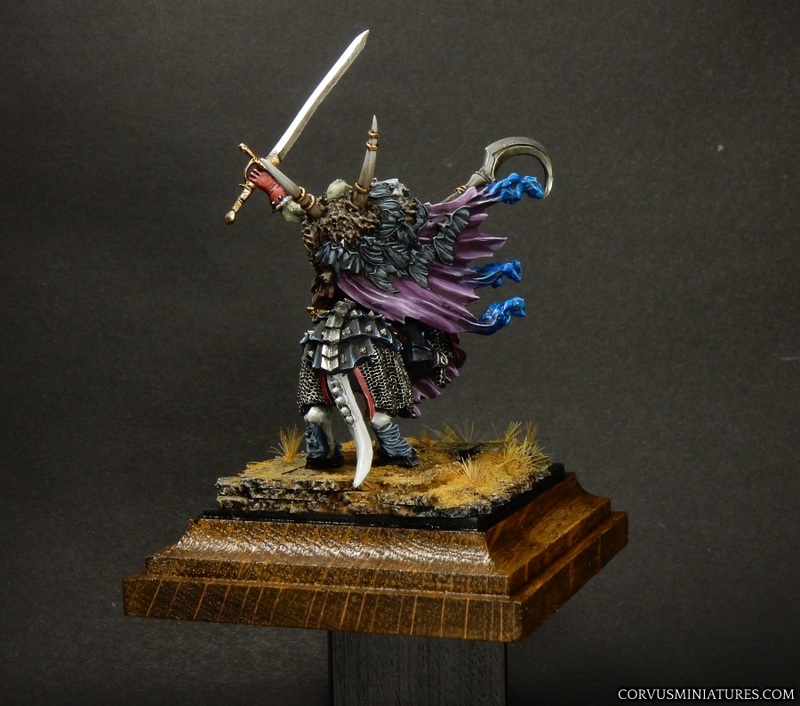 Does Anastyr ring a bell? 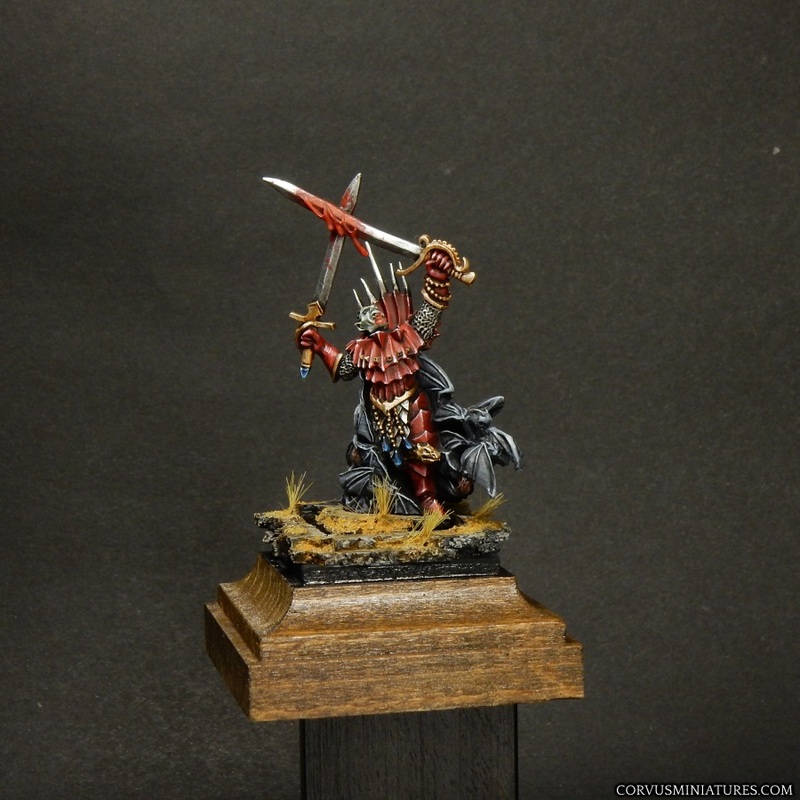 When Rackam’s Confrontation disappeared it was one of those miniatures lines which seemed to aim at filling the gap, but it never succeeded in producing only a few miniatures. 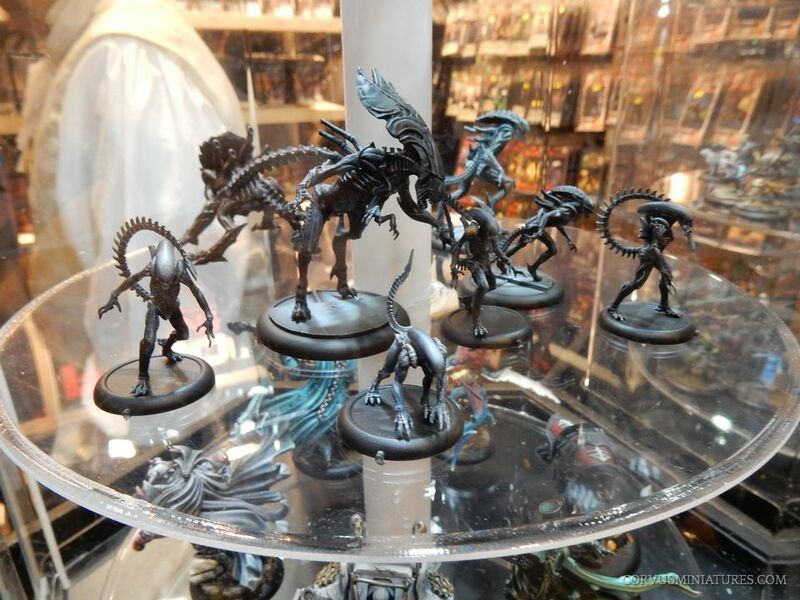 The line looks unfinished, but the few sculpts they have are very good and I was happy to see these miniatures in real life. 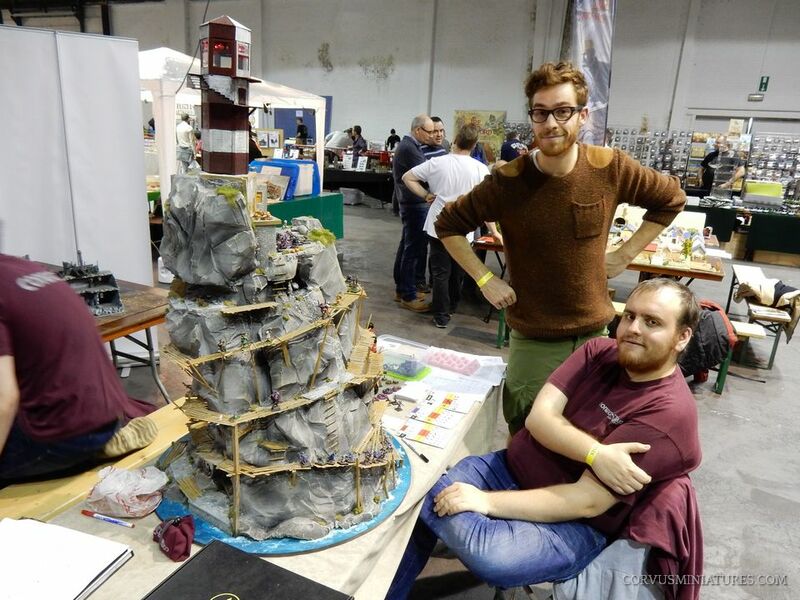 One of the clubs present was Conect’r Team, this zombie-infested lighthouse was one of their games they were demoing. The big table below was also a project by Conect’r in association with another Belgian club: De Witte Ridder from Leopoldsburg. After having a chat with some people I decided to complete my tour of the second hall. 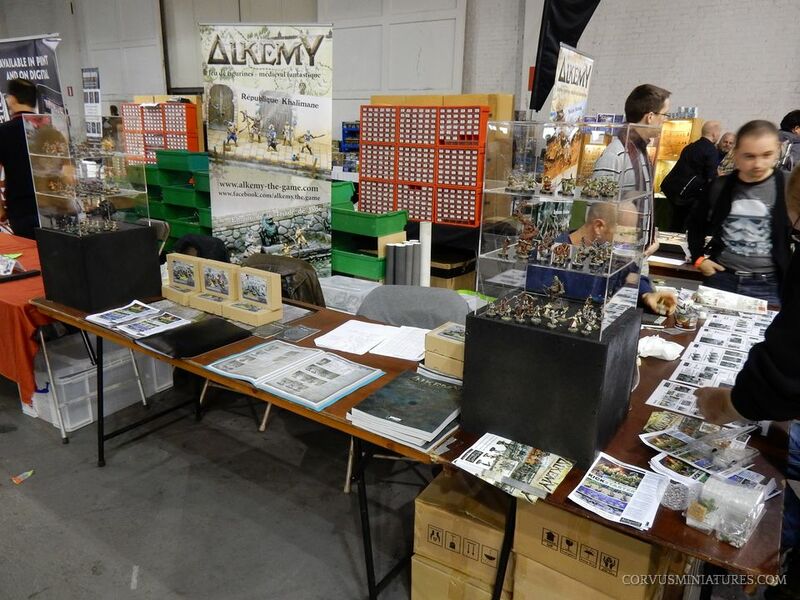 Alkemy was here as well, although the miniatures on display weren’t the box art ones, in fact they weren’t all that well painted. I think this game has lost a lot of it’s magic since it first appeared years ago. 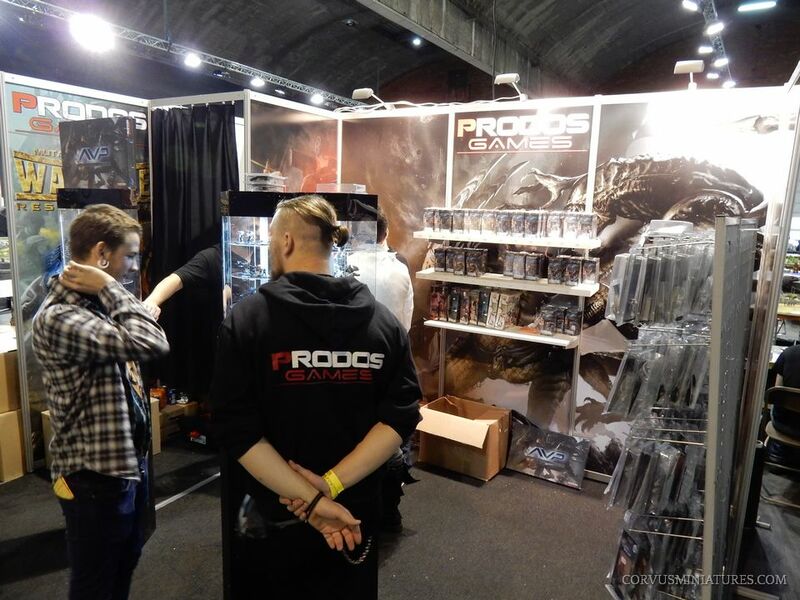 Mantic Games’ booth was rather small this year, they clearly focused on Dreadball, although they had some stuff for sale for their other game systems as well. 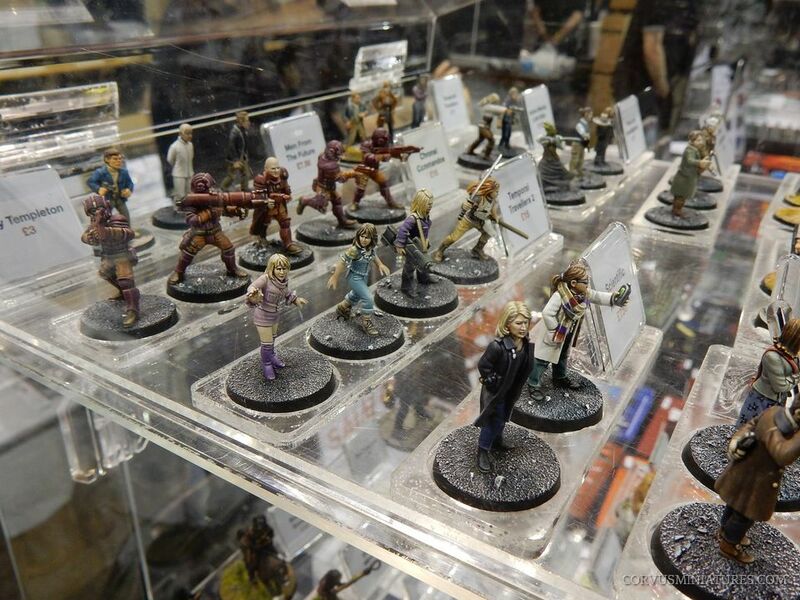 Warploque Miniatures’ figures on display. 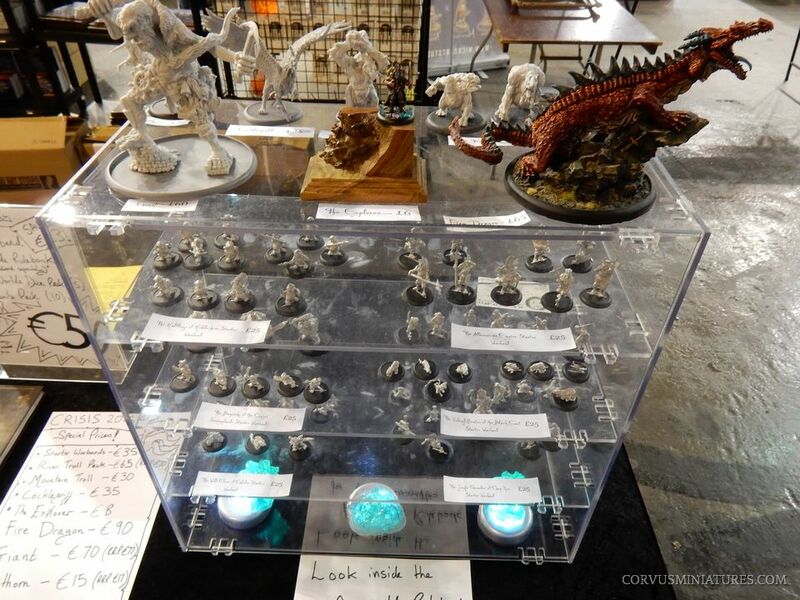 I don’t quite get why you want to display so much unpainted figures, and put all the information on hand-written papers, but considering this company is basically run by one young guy it’s still great to see he made it to the show and put up a collection like this. That’s all for this report! 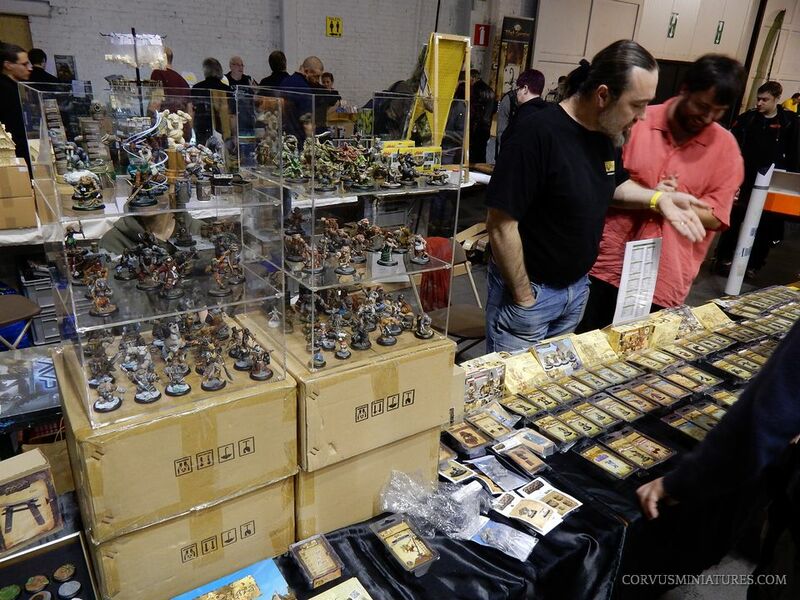 I was very happy to have visited the event, since it allowed me to see a lot of nice miniatures in real life for the first time. 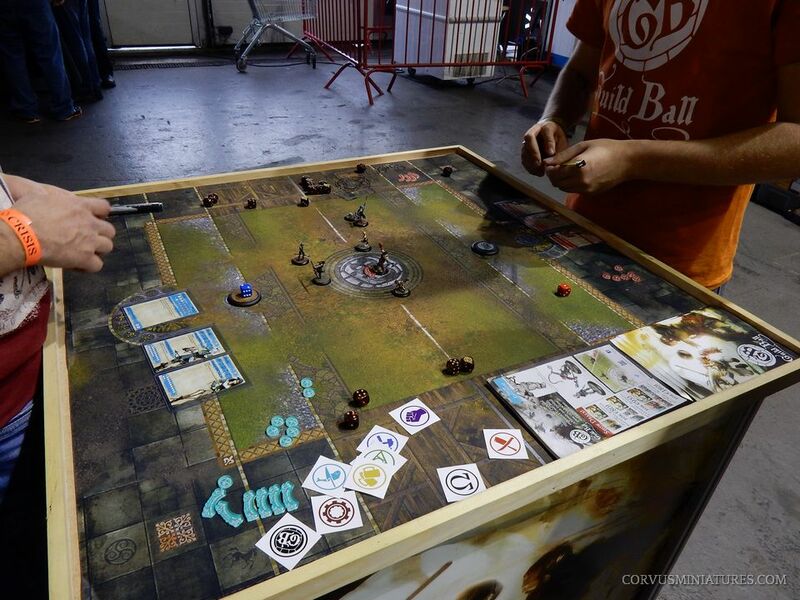 Especially the Guild Ball game really caught my attention, I will probably buy some more of their figures in the future. 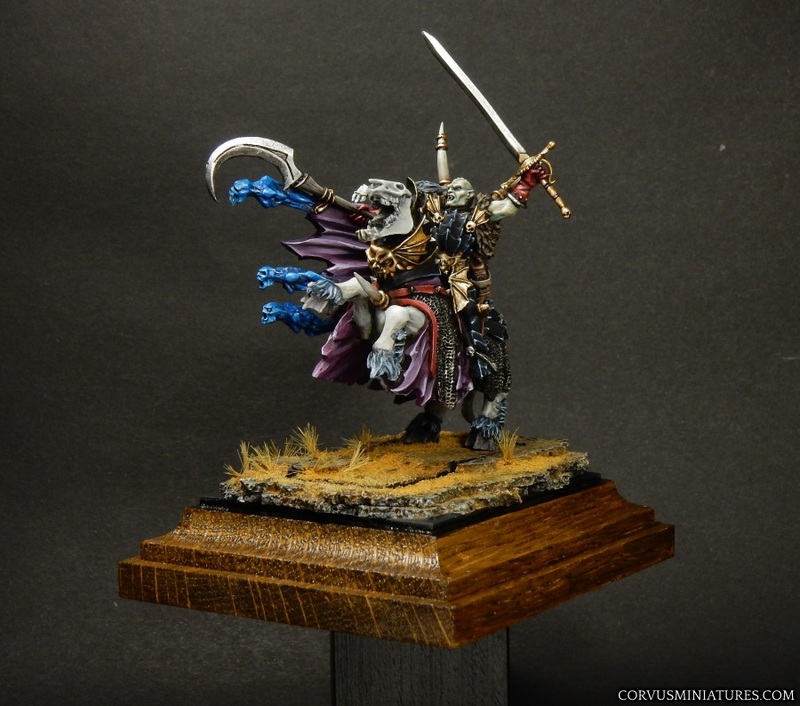 Painted together with his brother Mannfred, this is Konrad. 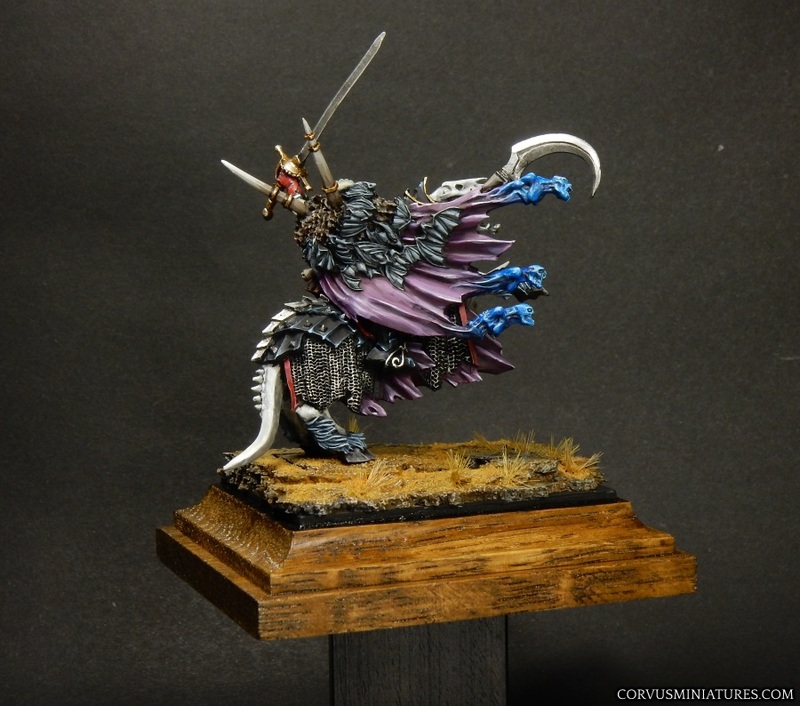 Well actually I’m not sure they are brothers, Warhammer lore is not really my speciality. 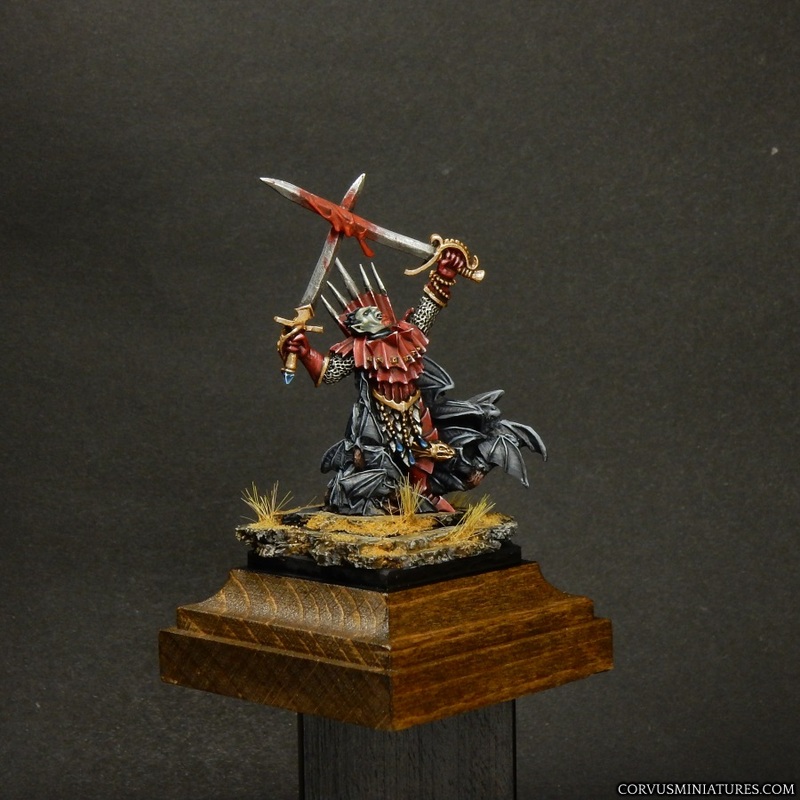 Again, close to the official color scheme, with an alternate skintone, and provided with a display plinth with removable gaming base. 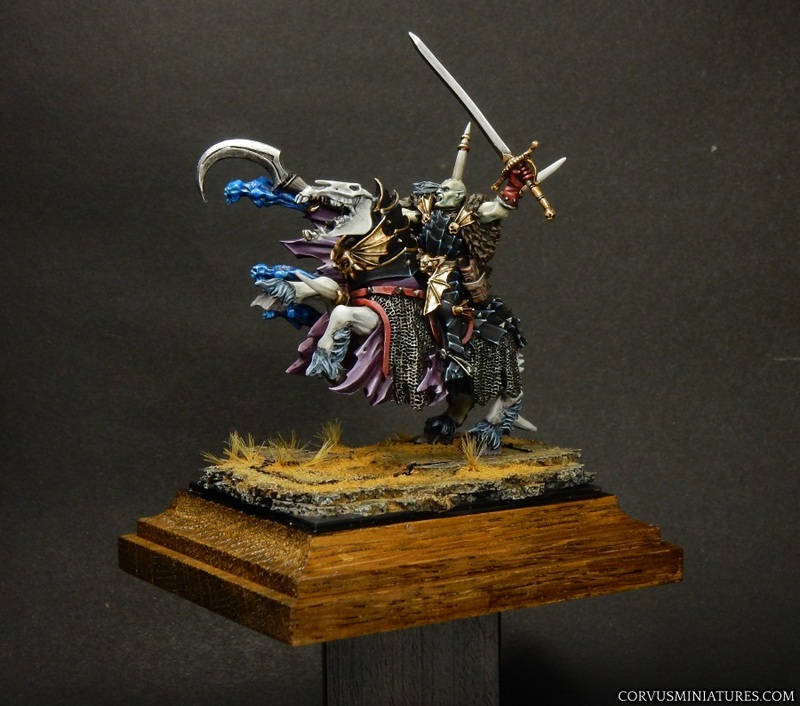 This is the first of two Carstein vampires I just finished as a commission. The color scheme is very close to the original one, in combination with some colors I used on a previous project for that same customer (like the skintone for example). The figure is mounted on its original gaming base which can be removed from the larger display plinth (in progress picture here).